Of all sartorial crimes, none require quite so much brazenness — or simple obliviousness — as the wearing of socks with sandals. 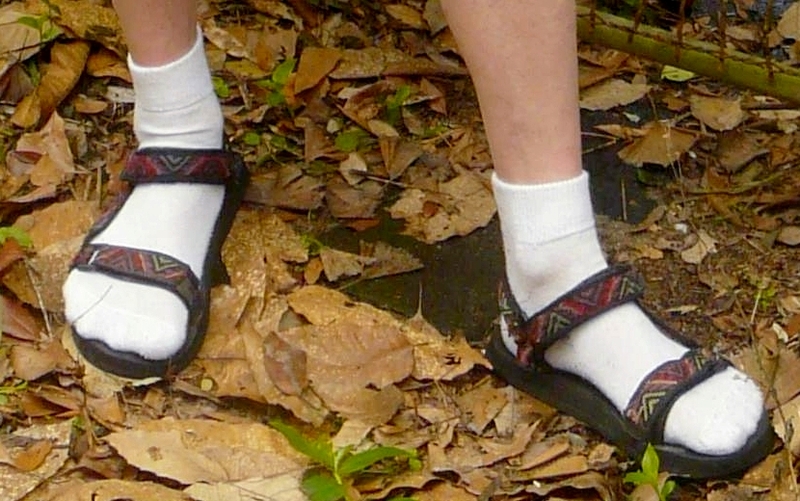 But unlike most widely disdained fashions, which usually tend to have enjoyed their heyday two or three decades ago, the socks-and-sandals combination has deep historical roots. And those roots, so 21st-century researchers have found out, go much deeper than most of us may have expected. "Evidence from an archaeological dig has found," wrote Telegraph science correspondent Richard Alleyne in 2012, "that legionnaires wore socks with sandals" — ancient Roman legionnaires, that is. "Rust on a nail from a Roman sandal found in newly discovered ruins in North Yorkshire appears to contain fibres which could suggest that a sock-type garment was being worn." 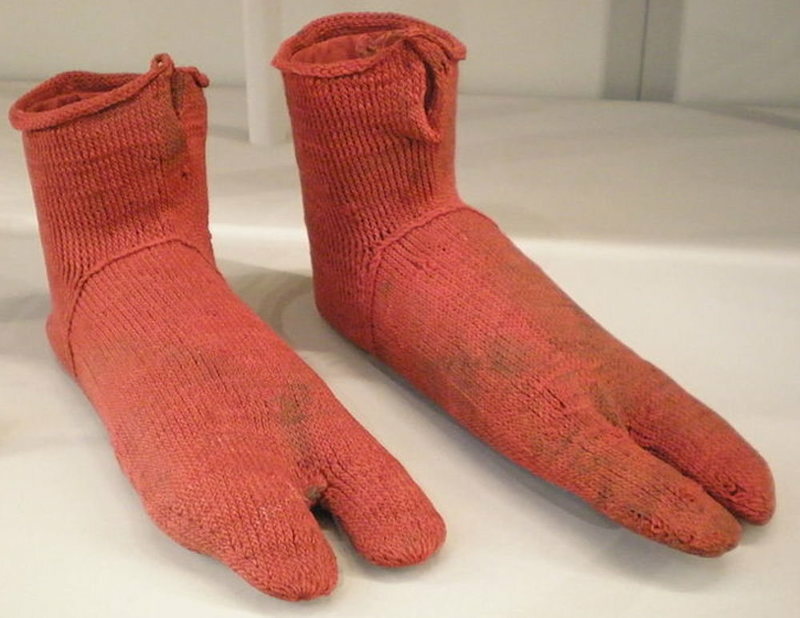 "You don't imagine Romans in socks," Alleyne quoted the archaeologist heading the cultural heritage team on site as saying," but I am sure they would have been pretty keen to get hold of some as soon as autumn came along." As with any new discovery about life in the past, this changes the way enthusiasts of the period have gone about re-creating their favorite elements of it: take, for instance, heritage educator and crafter Sally Pointer. "Pointer has been enamored with the ancient world since she was a kid," writes Atlas Obscura's Jessica Leigh Hester, "when she cooked up plans for potions, devices, and craft projects — all with the goal of understanding how things came to be." 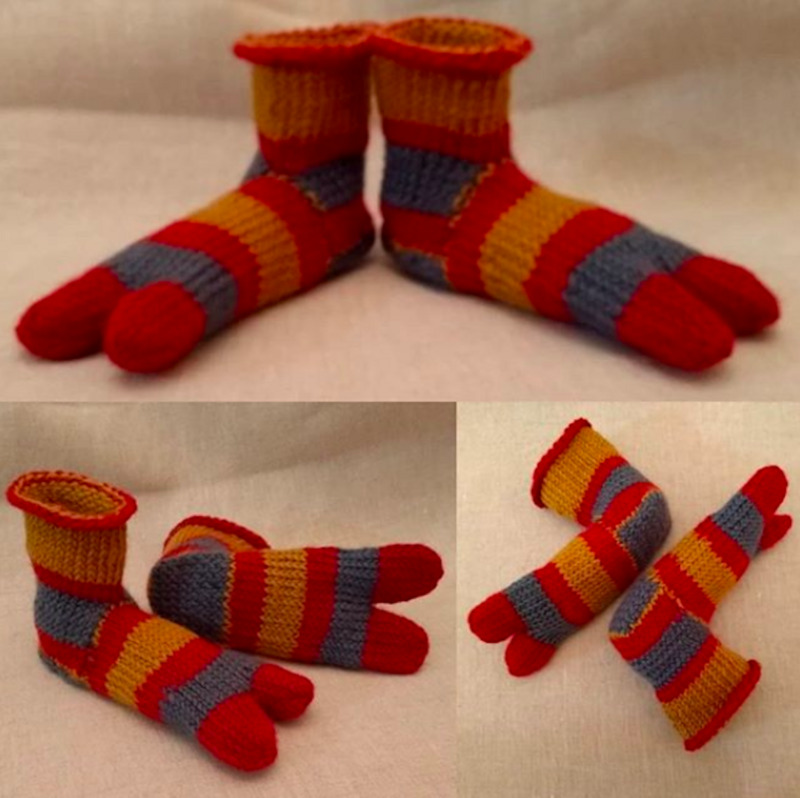 Looking to socks worn in ancient Egypt (see above), Pointer makes her own versions of these "cheerfully striped" socks using a technique called naalbinding, "which is sometimes considered a precursor to two-needle knitting and involves looping yarn on a single needle," and in this case making each sock's two toes separately and then joining them together. Should more evidence emerge about the techniques and styles of the socks Romans seem to have worn under their sandals, Pointer and makers like her will no doubt be the first to make use of them. But for now, we need only make one important revision to the historical record: "Britons may be famous for their lack of fashion sense and Italians for their style," as the sub-headline of Alleyne's piece puts it, "but it appears we may have inherited one of our biggest sartorial crimes from the Romans." Ummm….what about the Japanese? They were around centuries before the Romans even formed as a people/ government.